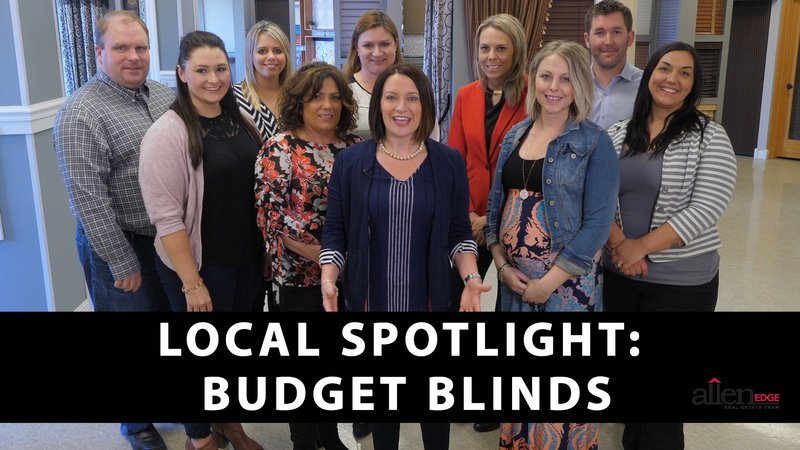 Budget Blinds is a locally-owned franchise that always has the latest technology and designs when it comes to blinds, shutters, and other window coverings. Today I’m so excited to introduce you to Tara Balding, the owner of Budget Blinds here in Sioux Falls. They are a locally owned franchise that carries over 32 manufacturers for all of your needs when it comes to blinds, shutters, and more. They can help you take measurements, look at the lay of the land, and let you know what would work best in your home. They also offer free installation and awesome warranties. One of the big trends she’s seeing right now is illusion window covering. It’s a transitional shade that you can use to darken a room, let some light through, or open it up all the way. Motorization is a big thing right now, too. You can program your Alexa or your smartphone to control and program your blinds no matter what time of day it is. The illusion window covering is a transitional stage. If you’re building a home or buying a new one, Tara and her team would be happy to come out and help you with any and all of your needs in this department. Come and check out their showroom at 41st and Marion Road. You can also give them a call at (605) 332-7265. The spring market is heating up, and it’s prime time for sellers who want to get top dollar for their home this year. If you have any other questions for us in the meantime, don’t hesitate to give me a call or send me an email. I look forward to hearing from you.